Whether you go for a special family day, or just with friends Staten Island bowling is a fun recreational activity for all ages. Bowl some strikes and spares at these bowling alleys in Staten Island. Whether you are a pro or just learning, bowling can be a fun activity with friends. This Staten Island Bowling Alley has it All! 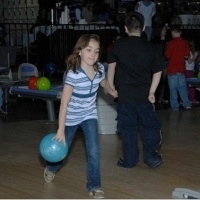 Bring the kids for a day of fun bowling at this great Staten Island bowling alley or go in the evenings with friends for a fun night of cosmic bowling or karaoke in the lounge. Rab's Country Lanes offers not only a high roller's lounge, but also regular specials, bowling leagues, a cafe and a laser maze! Bowl in one of the 48 lanes during open bowling time or reserve a lane for late night cosmic bowling on Friday and Saturday evenings. Rab's is a great place to have your child's next bowling birthday party, ask about special birthday packages today! 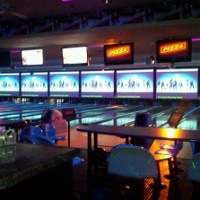 One of the Hottest Bowling Alleys in Staten Island! When you think of bowling do you think of pizza and snacks? Fun birthday parties? Arcades with prizes? This Staten Island bowling alley has it all! Kids and adults of all ages will have a blast at this fun entertainment center. Bring the family for an unforgettable day of bowling and gaming or go in the evening on a cosmic bowling night and experience this cool new trend. When you and your family need a break from the lanes you can relax in the cafe with a cold drink or split up and send the kids to the arcade to win some prizes while you have a beer at the sports bar. There's something for everyone at Showplace Entertainment Center!